For over 35 years, my life has been dedicated to serving the Divine by helping individuals to experience transformation and awakening. Through a synthesis of Eastern and Western teachings, techniques and higher energy I’ve been able help to bring about real spiritual awareness for people and show them how to integrate it into their lives. After graduating college I began to feel a deep longing for Oneness, for God. I began meditating for hours each day and began to experience what I had been seeking. With this came the realization that nothing less than complete Oneness would ever satisfy, would ever be enough. And then I began to realize that it wasn’t enough to experience the Divine, to be in the Oneness. That I was here to serve the Divine through humanity and this planet. Sound familiar? There are so many people across this country and around the world that know, or are beginning to know, that they are here to help. Love and the desire to help others is inherent in who we are. It is our natural state. We feel the best when we are loving - loving ourselves and our neighbors near and far. Cosmologically, we are in a time of great transition and transformation on planet Earth. We can all make a difference in the quality of how this transition occurs. When we reach out to each other as individuals or nations we help make the Earth better for all of us. When we send forth love and positive energy it helps to create a vibration of peace and harmony on Earth. As we realize more deeply how we are all connected, the importance of caring for the Earth and all people becomes more and more obvious. Prayer is an important part of that caring. Now, more than ever, love and prayer are needed to help Humanity thrive, and for World Peace to come about for the benefit of all. Prayer works. Any prayer from any tradition. Individual or group prayer. In my spiritual work over the years, I’ve seen and experienced that Sound Prayer, especially using the Sacred Sound OM, is an especially powerful method of sending Peace and Healing to the planet. Sound is vibration, and whether or not we can hear it, each atom of creation produces a sound wave as it vibrates. Thus, the whole universe is humming all at once in an unlimited range of frequencies. The underlying sound of all these frequencies, which can be heard in deep meditation, is the sacred sound OM. OM is described in ancient Hindu scriptures as “the All”. However, it is not limited to any one religious or spiritual tradition. OM of the Vedas (Hindu), sometimes pronounced AUM, became the sacred word Hum of the Tibetans, Amin of the Moslems, and Amen of the Egyptians, Greeks, Romans, Jews and Christians. This word, in all of its various forms, has been used in chants and prayers for thousands of years. When people sit in a circle and chant OM together, it works much like a finely tuned intelligent radio transmitter in accordance with the physics of sound and vibration. In radio transmitters the message or signal travels on a wave of energy called a carrier wave. OM is analogous to the perfect carrier wave; it is self-directing and automatically goes to the areas that most need to receive the transmission. When the chanting is done with everyone in full agreement on the goal of world peace, it creates a resonant effect, and with it a vast increase in the strength of that signal of peace. When many circles of people agree to do this together at the same time, the total effect of the meditation is immensely powerful in creating peace and harmony throughout the world. 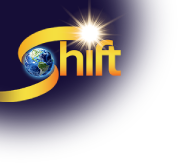 Recently, I’ve had the joyous experience of leading the Shift Network staff members in OM circles for World Peace. I really enjoyed coming together with people who are so committed to peace to do this practice together. Afterwards, people commented on the power of the OM and the Oneness they felt in chanting and sending it out to the earth. My most heartfelt wish is that more and more people, in addition to other ways in which they are serving, will turn to prayer and OMing to help usher in an age of True Love, Harmony and Peace for all the people of Earth. We can truly make a difference! Rita Canning is an intuitive and spiritual guide and counselor who is passionate about her commitment to helping to bring about personal and planetary transformation. For over 35 years, Rita has been leading and inspiring others to pray for World Peace, individually or in group circles. She has been helping private clients nationwide to experience greater clarity and insight, fulfillment, personal transformation and awakening. Rita also leads workshops and retreats. Her work reflects her belief in the basic Oneness and truth of all paths. As a counselor and guide, Rita’s work is oriented to the unique needs of the individual. In doing so, she uses intuitive readings, meditation, prayer, channeling, counseling, and healing and energizing techniques. Her work is integrated and practical, offering methods for problem solving and renewing clarity.